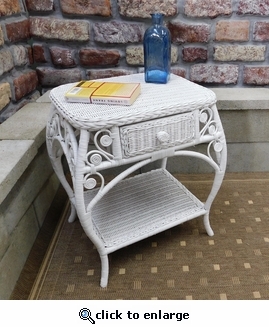 This ornate end table makes a great addition to any room, and would look great next to any chair, or sofa. Handcrafted out of the finest natural wicker, woven over a sturdy wooden frame. Comes in a White finish.